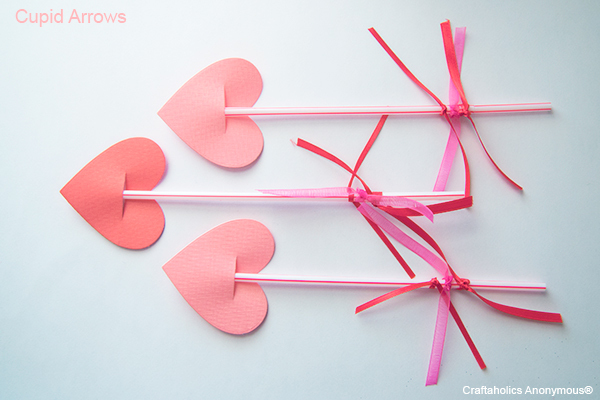 It is time to throw your Valentine class party planning into high gear. If you are still looking for a small craft to fill a little time, here are a few that I like. 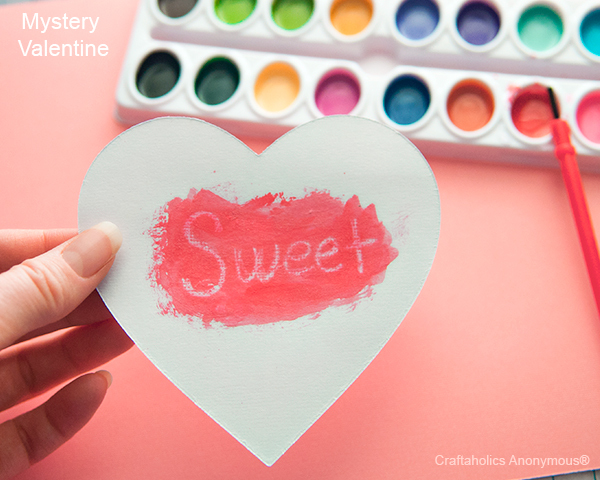 Linda from Craftaholics Anonymous has three fun and easy projects on her blog. 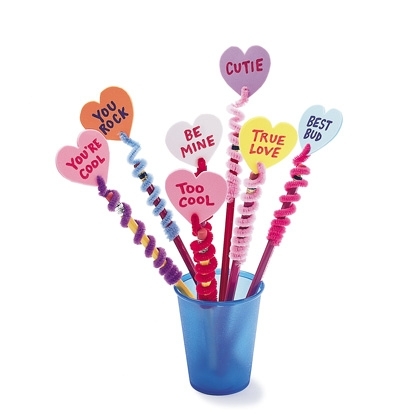 These Cupid Arrows don't take a lot of supplies and even the boys will like putting together something they can throw at their siblings when they get home. Also check out her hidden message valentines. These would be cute to do at home with your kids or could be used in a fun class party game. I love these animals made with hearts from Gum In My Hair because they will appeal to both boys and girls. Plus all you really need are scissors, glue, and construction paper. All easily found in the classroom. 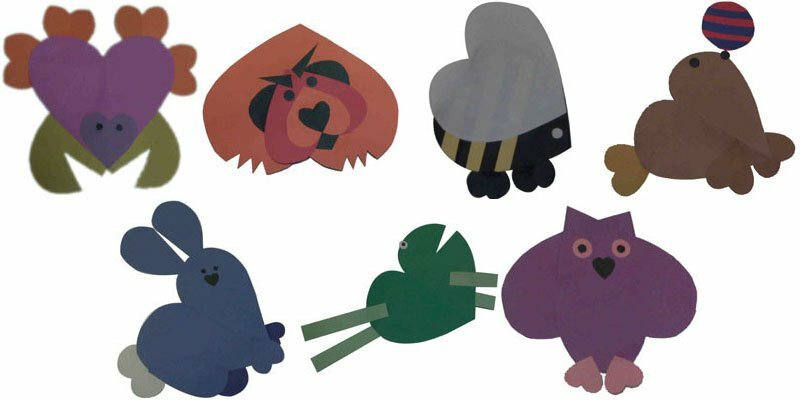 Some pipe cleaners and construction paper are pretty easy to come by and the kids can make these fun valentine pencil toppers from Spoonful. 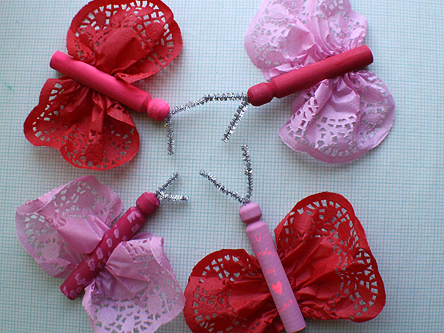 And if you have a group of young girls and need a crafty they will love, turn doilies into beautiful valentine butterflies with this fun craft from PBS. This is too cute. I def need to save these ideas.